Kate and her all-girl band want to play music all night long. However all the boys want is a little peace and quiet. Skink and his Skunktail boys just want to read. The conflict grows until they reach a compromise…earplugs. 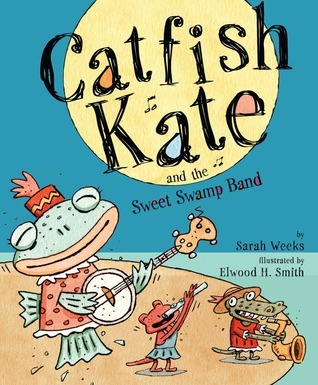 This is a retelling of the classic Fisherman and his Wife with a cajun flavor told by a bayou alligator. 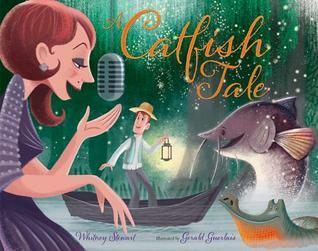 When Jacques catches a talking wish-granting catfish, his wife Jolie starts wishing for all sorts of outlandish things, a mansion, a paddleboat, fame and fortune. With each wish the catfish says, “Ah, tooloulou–if that ain’t the easiest thing to do.” Until Jolie goes too far, then the catfish ‘disappeared ‘neath the water ’cause Jolie didn’t need nothin’ more’.